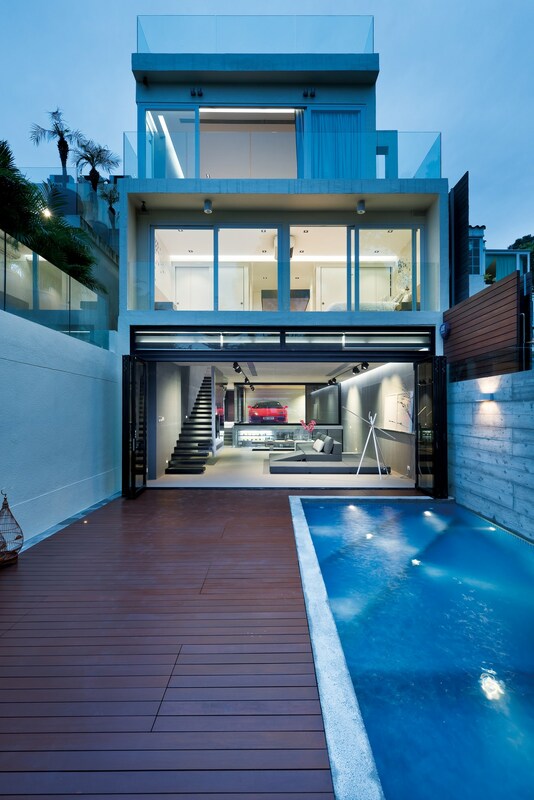 Now Reading : Sai Kung House: a design house cleverly built with glass and truly surprising located in Hong Kong! 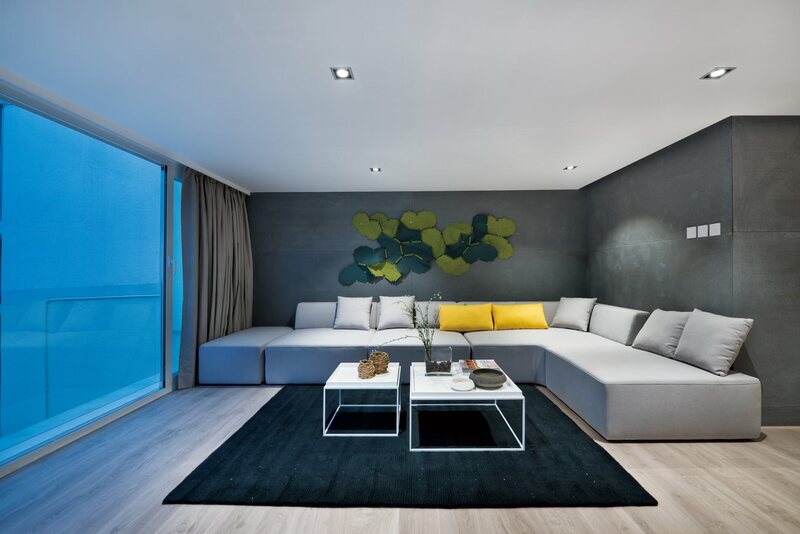 In order to create the maximum of space while remaining modern and comfortable for the owners, Sai Kung House offers many clever systems and design. Beginning with the sunken-in kitchen and the elevated dining table. Once lowered, the table is merging in the floor, once elevated, it can welcome many guests for diner. The main difficulty with split-level homes is that they are usually built as a group of “boxes”, not really harmonious and hardly linked together. 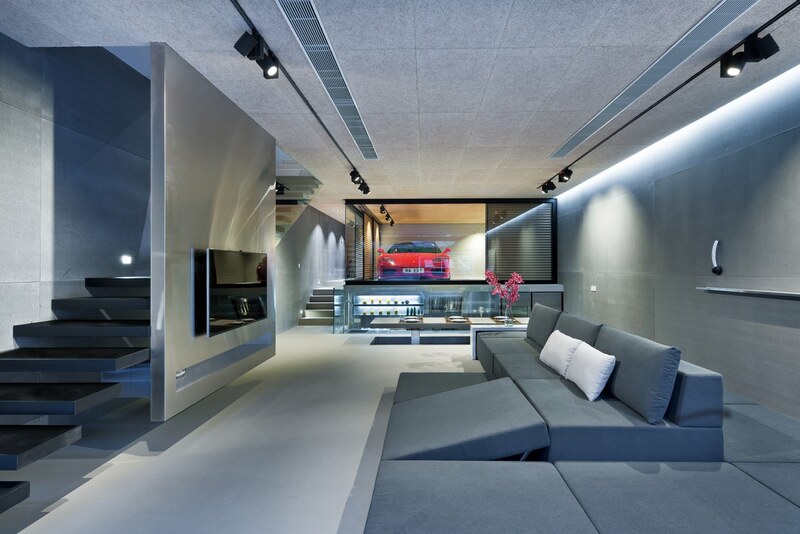 Then Sai Kung House was built as a true glass box integrated to interior design and appears to be truly unique. It is an avant-garde house that represents over 455 sq.m and appears to be more spacious than it seems. Indeed the house features a grand living room, a family room, two small ensuite bedrooms, two guestrooms with one guest bath, a helper room, a master ensuite bedroom with a bathroom surrounded by glass walls and perfectly integrated to the luxurious room. 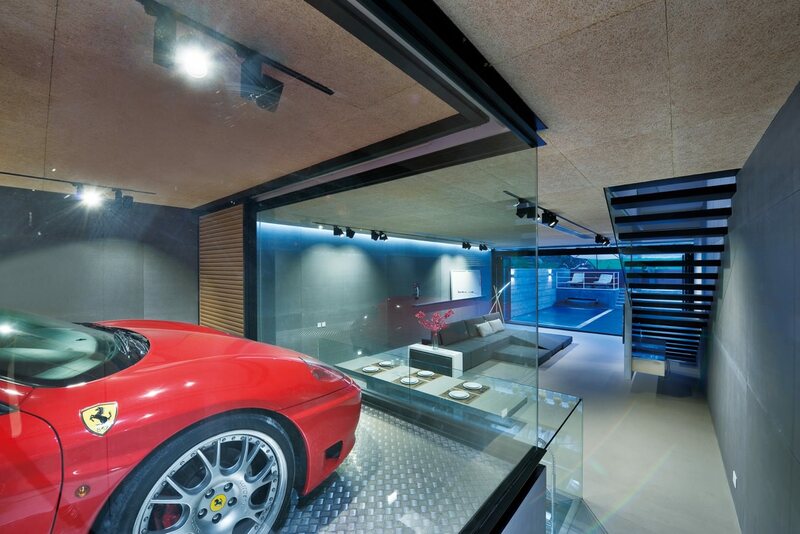 The other particularity of Sai Kung House is with no doubt the glass garage that can accommodate two cars just above the kitchen and in the middle of the living room! 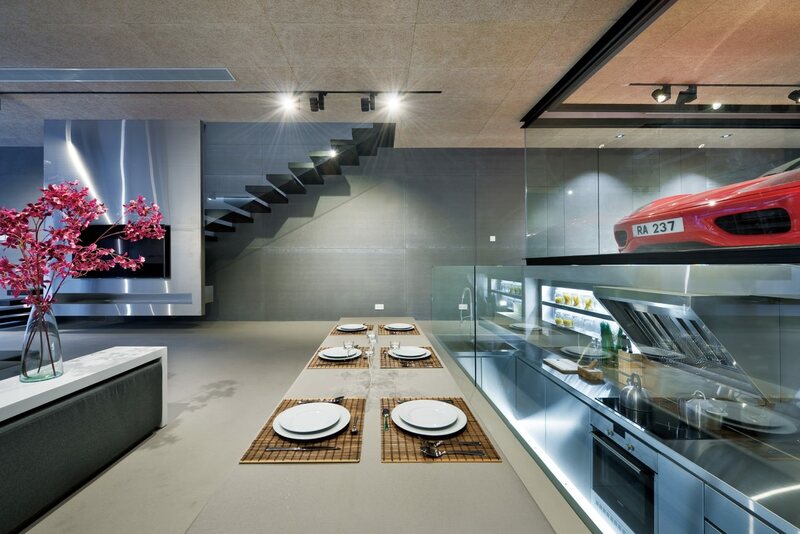 So you can admire your vehicles right from the dining table. Even if Sai Kung and Hong Kong are home to more than 7.6 million people, Sai Kung House appears to be a peaceful and quiet jewel box far from the city agitation, totally cut off from the rest of the population. 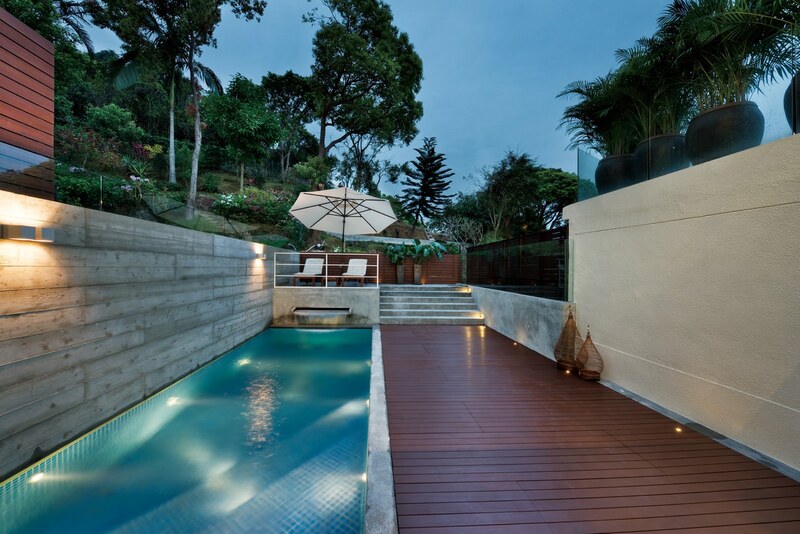 So Sai Kung House has a peaceful rooftop lounge space as well as a garden with a 5m pool. As harmonious as spacious, the house is perfect for both funny moments with your friends and resting moments with your close ones. Convenient, contemporary and aesthetic, Sai Kung House and its ground floor stretches from the entrance to the backyard deck, separated by glass patio doors. 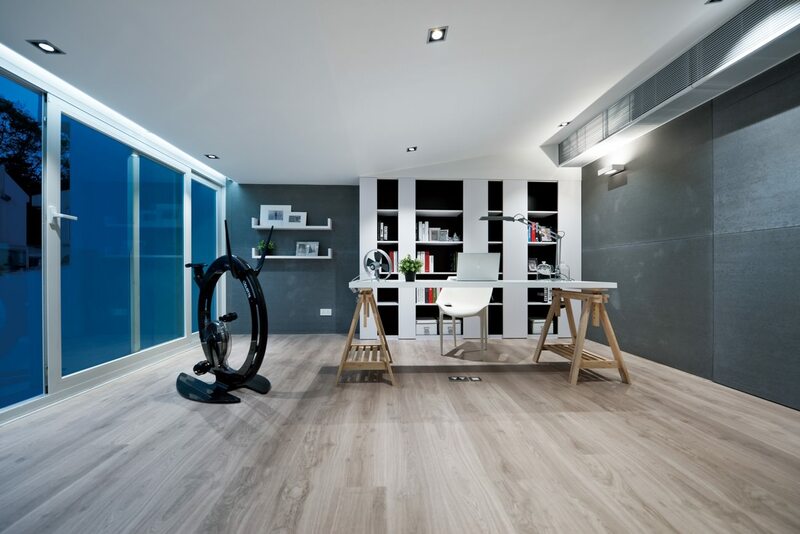 There, the overabundance of glass and steel in design elements such as staircases, garage and the other living spaces creates an artistic vision of modern design. 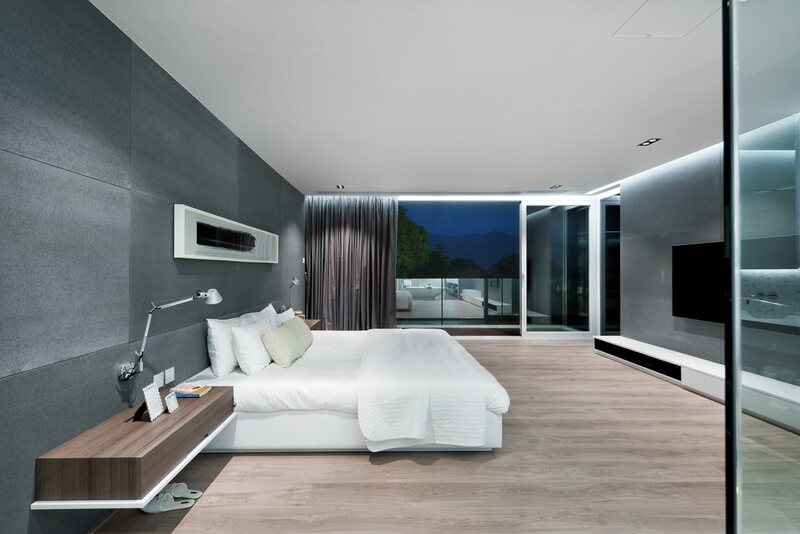 A clearly stunning house that pleases its actual owners thanks to Studio Millimeter! Discover the other creations from Studio Millimeter! 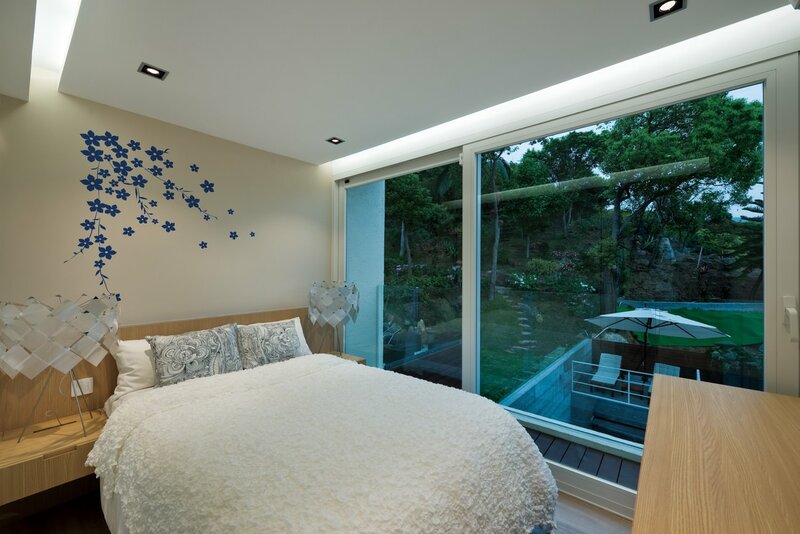 Share the post "Sai Kung House: a design house cleverly built with glass and truly surprising located in Hong Kong!"